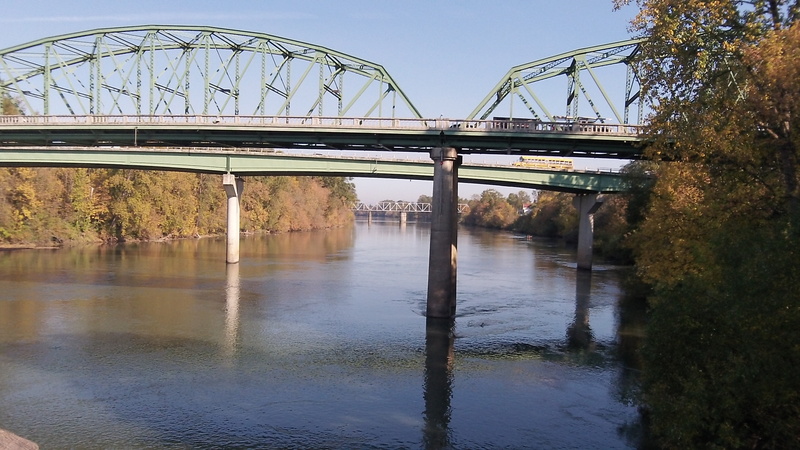 » Our Willamette: Unlawfully warm? The Willamette at Albany probably meets the temperature law now, but not in the summer. A federal law, the Clean Water Act, gives regulators the authority to say what conditions they would like to see in our rivers. But nature does not necessarily cooperate, and then there’s the potential for conflict and a lot of public expense. We’re at that stage in Oregon. Since 2003 the state DEQ, under the federal mandate, has tried to achieve a water quality standard for temperature. 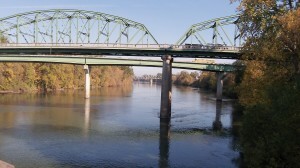 The Willamette, for instance, is supposed to average no more than 64 degrees Fahrenheit from mid-May to mid-October, even though in summer it’s usually above 70, and the rest of the year it’s supposed to average no more than 55 degrees. That’s to help salmon and steelhead, which like cool water. But the state rule also allowed for exceptions where natural conditions made a river warmer than the standard. Last year, however, a federal judge in Portland said the exceptions for natural conditions were unlawful. In response, the federal EPA withdrew its approval of that part of Oregon water quality standards. Tom LePage, on Facebook: Yet another example of reality being stranger than fiction. Rich Kellum: The whole Idea that we should make sure that the Willamette is not too warm for the salmonid fish population is a little silly. First, we pick some arbitrary date to restore the Willamette to. then we so not recognize that “the ancient runs of Salmon” do not exist as we think of salmon today. Before the fish ladders at Oregon City, there were no real salmon runs of consistency. You would get some spring runs when the fish could pass and then for a few years they would not be able to pass and the run would end. Later the fish could once again pass but you would only get those who turned the wrong way and happened to come up here, then for a few years you get a fish run. Third, before the big dams Detroit, Foster, Green Peter, Cougar etc., the Willamette would flood during the winter and spring and slow to a trickle you could walk across during the summer and fall, much warmer than now. So now should we spend hundreds of millions of dollars to protect ancient runs of salmon that didn’t exist? The dea that we should not allow facts on the ground to be included in the calculation of warmth is not just silly, it is stupid.